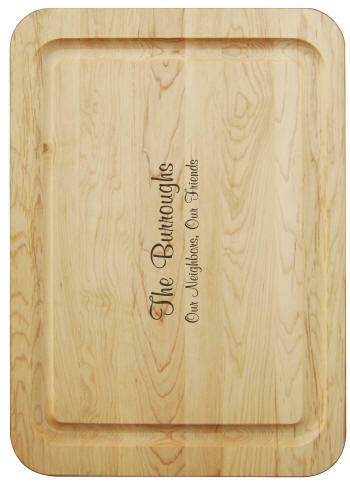 This jumbo size hardwood cutting board from Snow River features a juice groove around the perimeter of the board. This handcrafted board is manufactured from hardwoods and then treated with food safe oil to preserve and enhance the beautiful grain in the wood. Board size: 14 in. x 20 in. x .75 in.